Fuel Cost Calculator: Petrol or diesel? New car sales are split almost 50/50 between petrol and diesel, with diesel models almost always delivering much better fuel economy than their petrol counterparts. However, diesel models typically cost more to buy - so is it a false economy to spend the extra, or does it make sense? We’ve picked ten popular models and run them through our fuel calculator to find out. Click through the gallery below to find out whether the petrol or diesel model is the best buy. 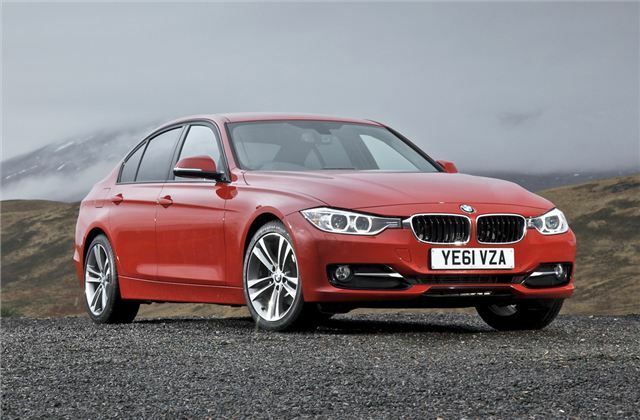 The 3 Series is a popular choice with company car drivers, particularly in diesel form. According to our fuel calculator that’s a good thing, at least if you cover a lot of miles. The 320d costs £2205 more than the equivalent 320i, but if you’re a high mileage driver then the difference will probably be paid for within three years – plus you get cheaper tax disks and a lower BIK rate. That said, it’ll take a long time to pay that difference off in savings if you’re a low mile driver and a low BIK rate only helps company car drivers, not private buyers.